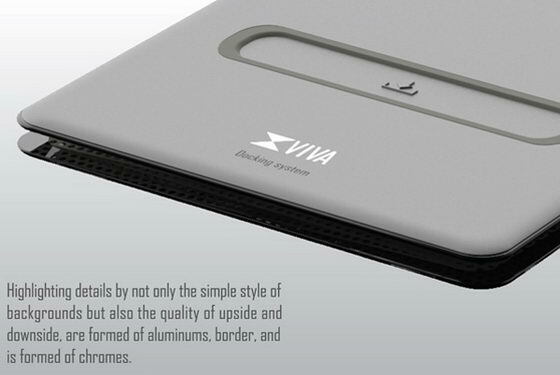 Viva speakers, motif from origami, are docking-speakers which emphasizes the portability. 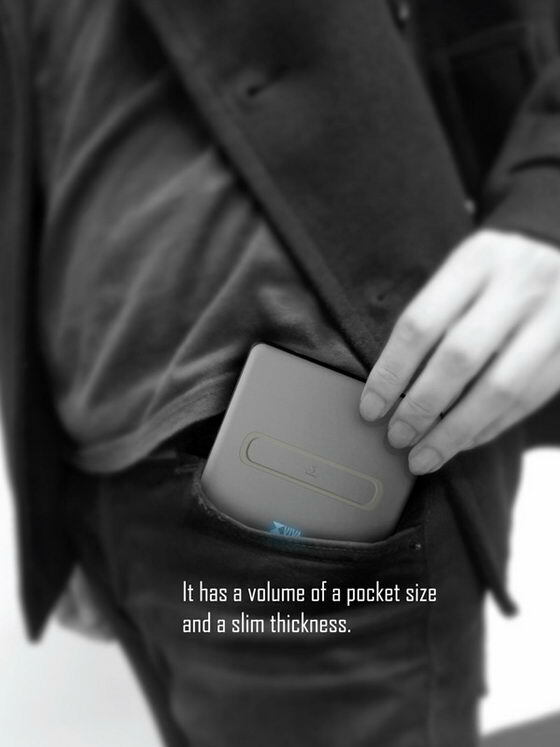 It has a volume of a pocket size and a slim thickness. Bu holding both slime bi-facial bodies and turn it to other direction, it stretches out to cube and you can use it for docking iPhone, android phone and Bluetooth syncing as well. Music beams out from all four sides creating an enigmatic surround system. 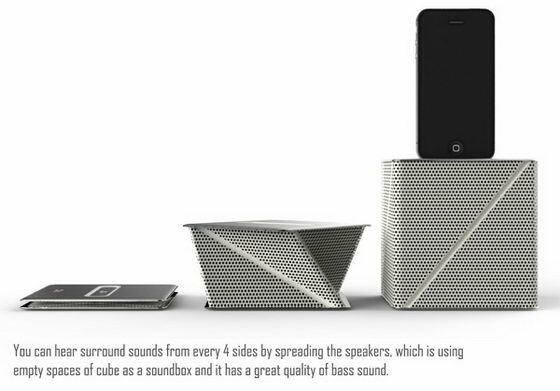 The design uses empty spaces of the cube as a sound-box and it has a great quality of bass sound. Such an great idea. 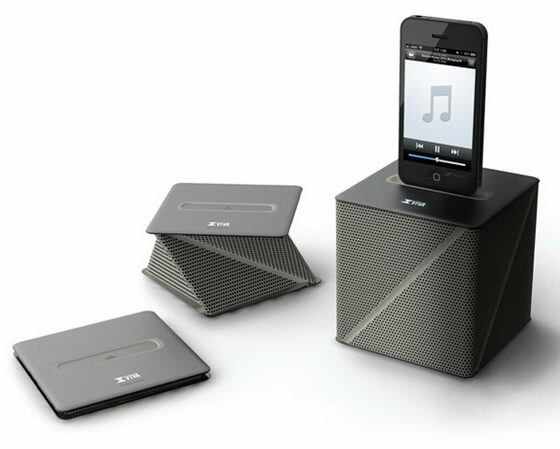 With speaker like that, you can have music party everywhere. [source]. 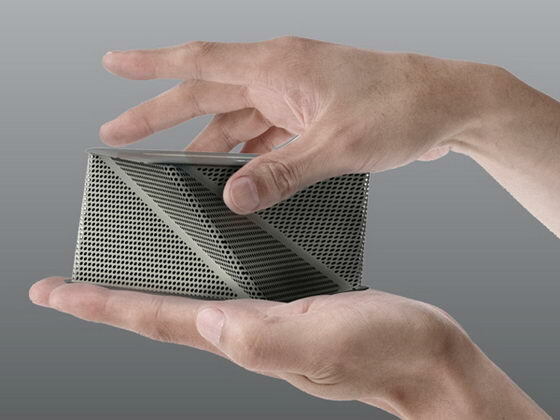 It is easy to see how these speakers were inspired by origami shapes. It is amazing that it can fold down to fit into your pocket.